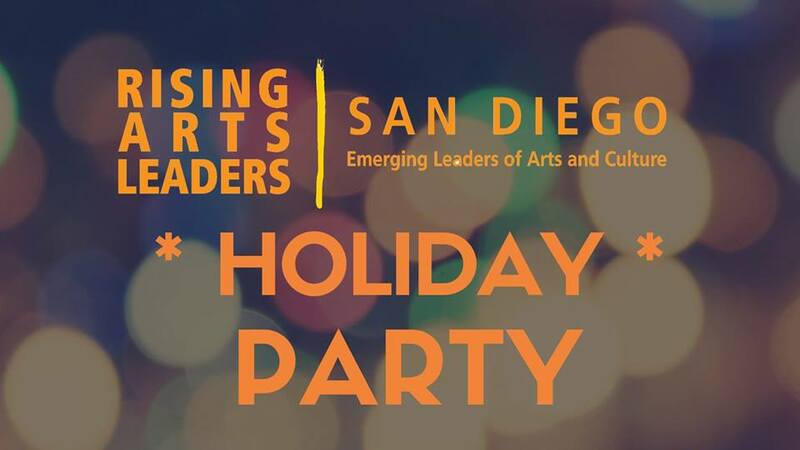 Join the Rising Arts Leaders of San Diego for the Annual Holiday Party – their final event of 2018! Snacks, Dinner, and drinks will be available as well as live musical entertainment from The Swiss Rolls. There will also be interactive activities and other surprises to take away. New steering committee members will also be announced at this event to kick off the holiday season! Attendees should not use the box office entrance – use the entrance on 7th avenue. Parking – Street parking is the best option. Parking is free at meters after 6pm. There are also multiple parking garages and lots in the surrounding area.